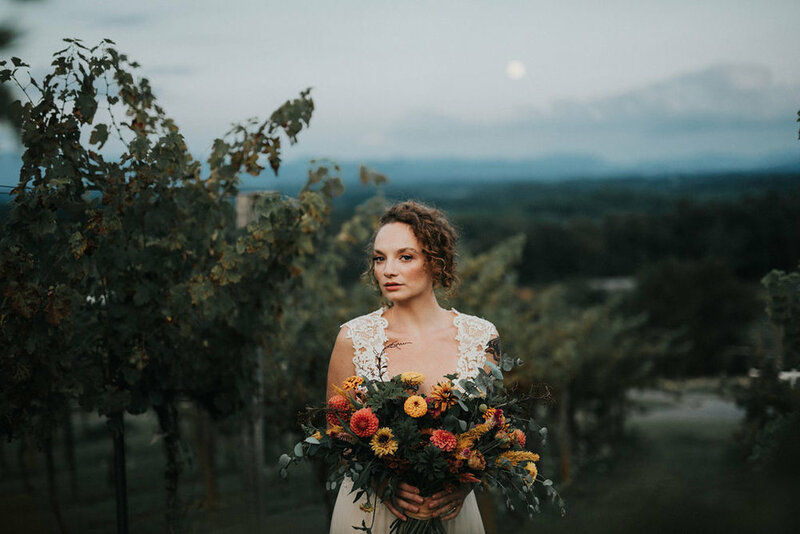 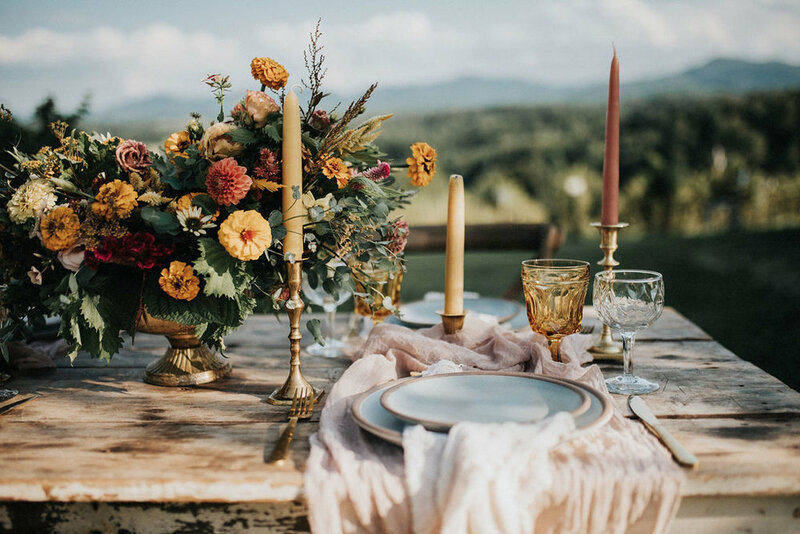 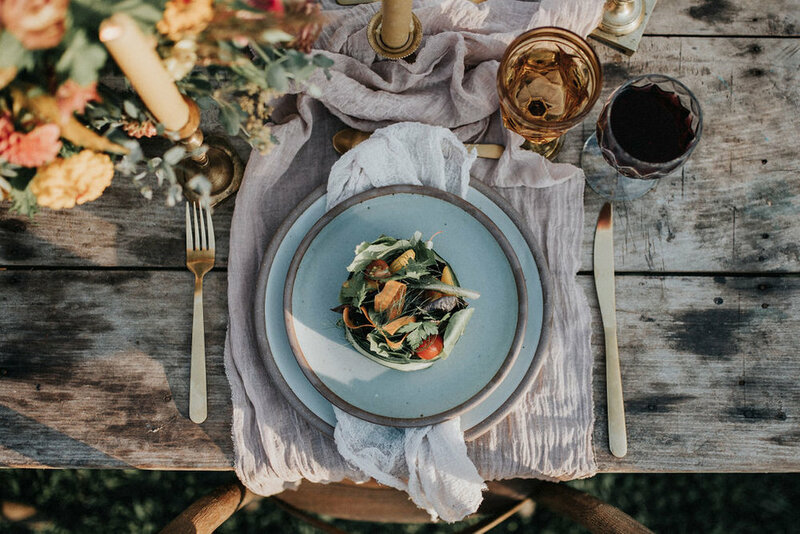 This lovely boho meets modern themed photoshoot was created to highlight the beautiful Longleaf Vineyard in the mountains of North Carolina. 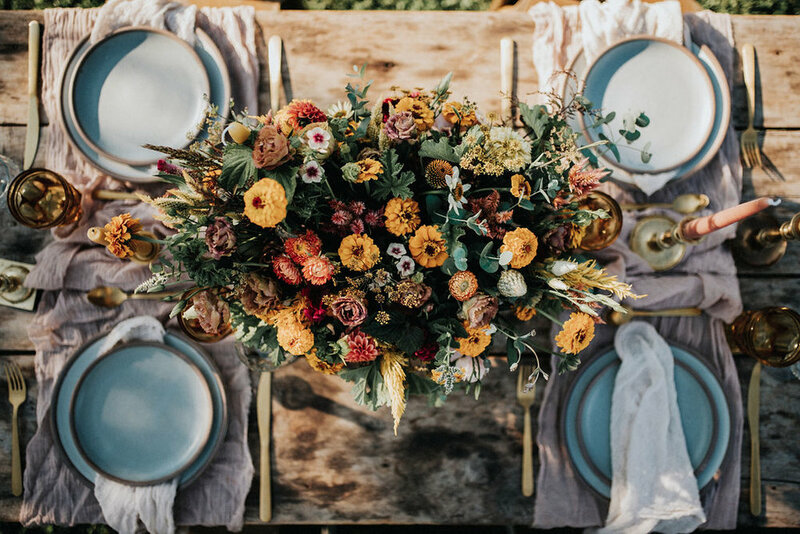 As an emerging venue with lots to offer potential clients, we wanted to highlight all aspects of what is possible on the grounds. 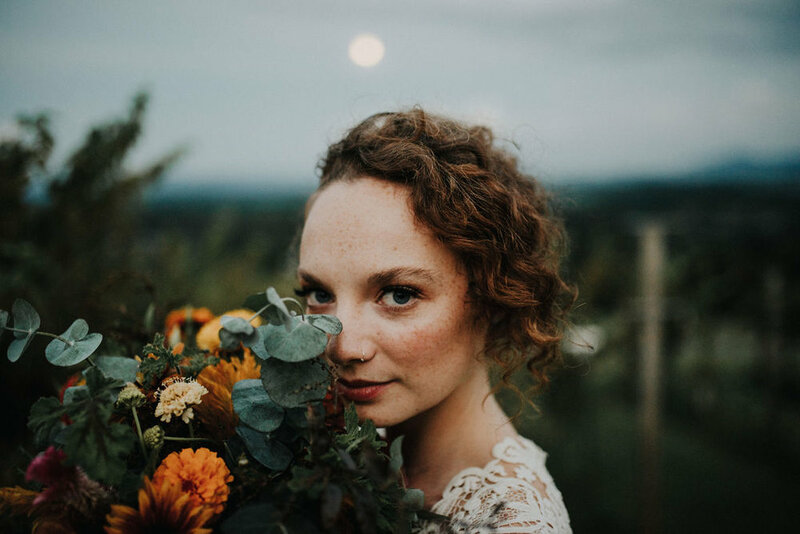 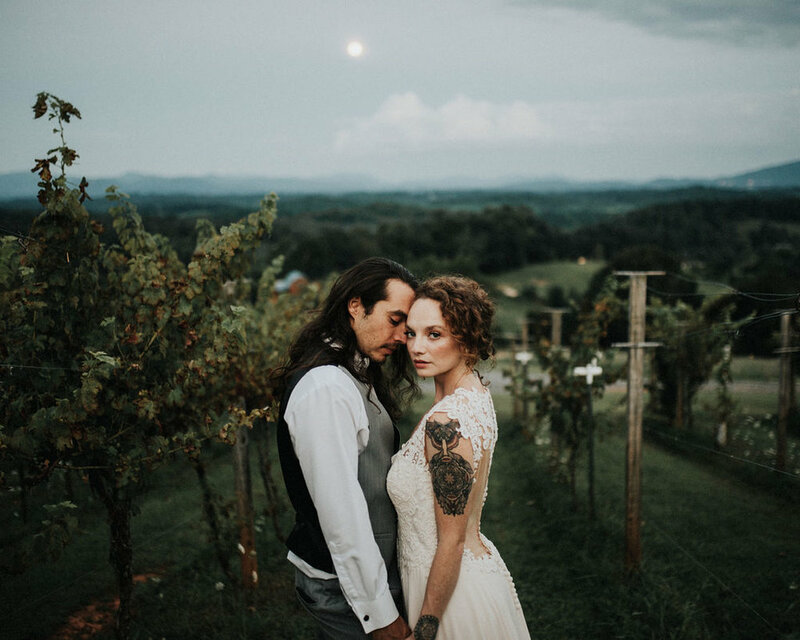 Summer of Firefly Event Company and Nikki of East West Vintage Rentals held the overall vision and brought together Asheville's top wedding vendor talent to create this stunningly beautiful visual story of magic + love + color + wine, bathed in the light of the full moon. 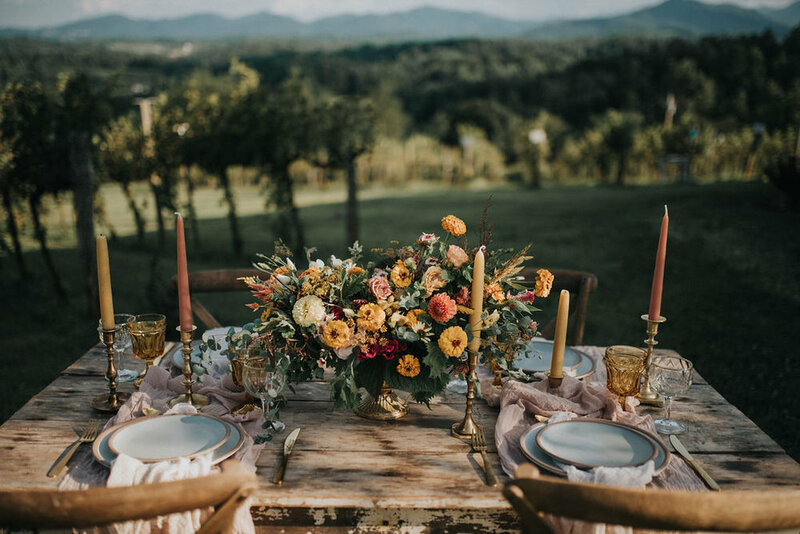 Table scape pottery is from East Fork Pottery as you can now rent their pottery from East Fork for your own wedding. 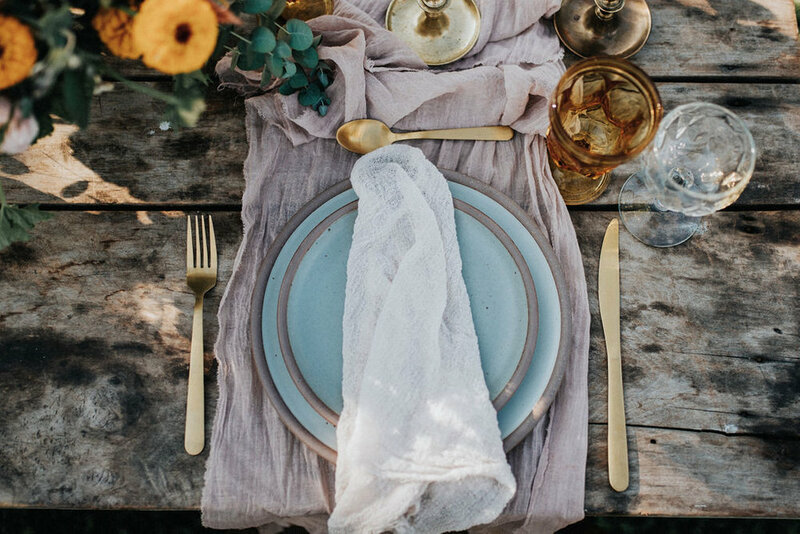 We really love the idea of having handmade pottery as part of your wedding! 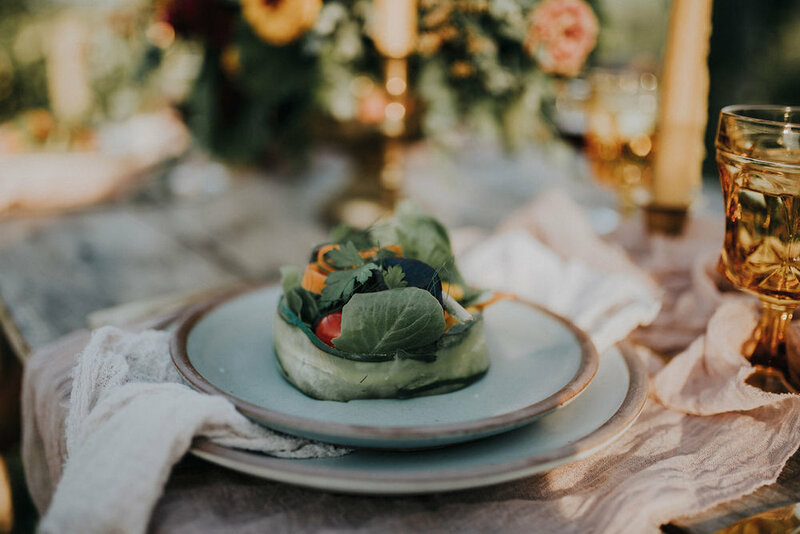 Food was done by Verbena Cakes and Catering. 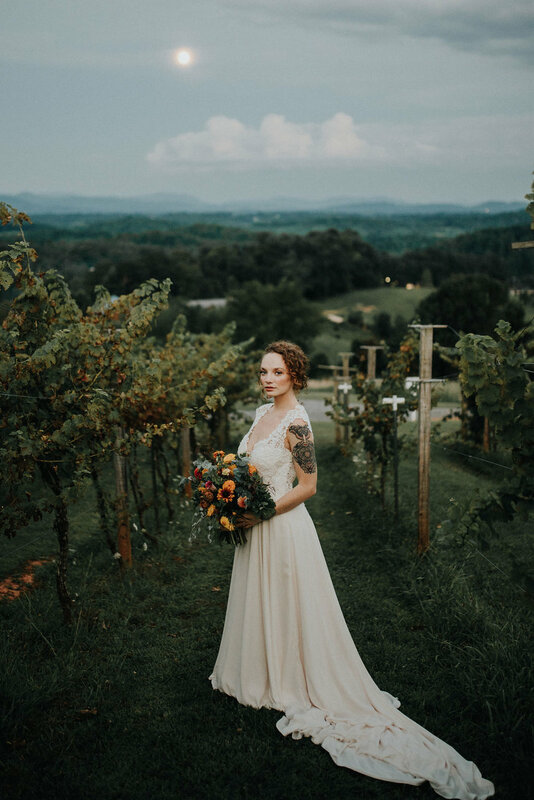 Emily Dawn provided hair and makeup for Joanna and her lovely dress is from Maggi Bridal. 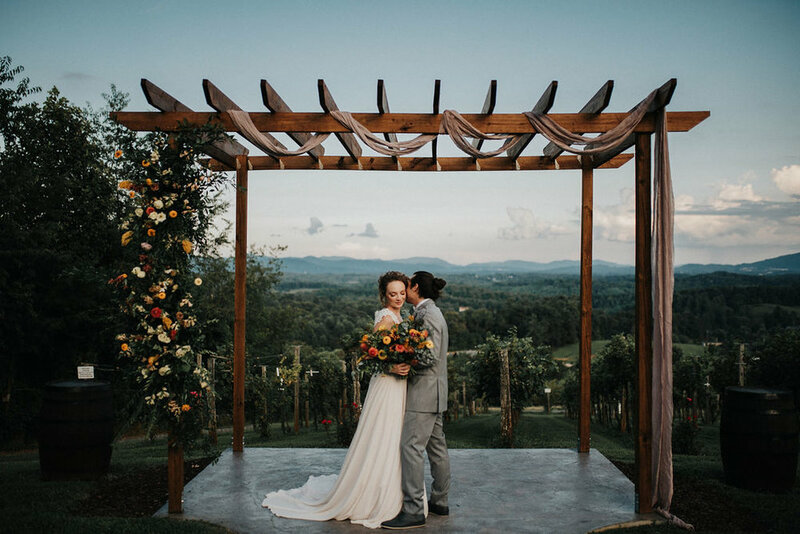 Mitchell’s Tuxedo provided Kyles suit. 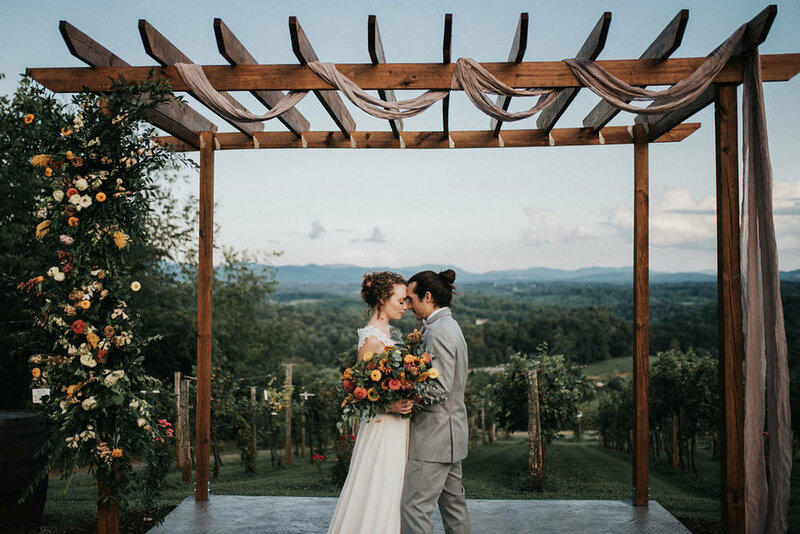 We chose to have Fox and Beau in downtown Asheville do the rings for this photoshoot. 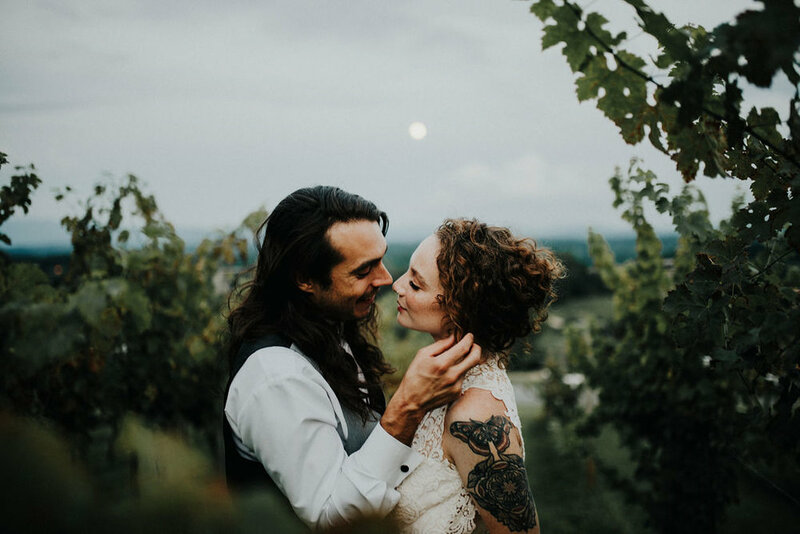 We really wanted the rings to be non-traditional, modern, and romantic. 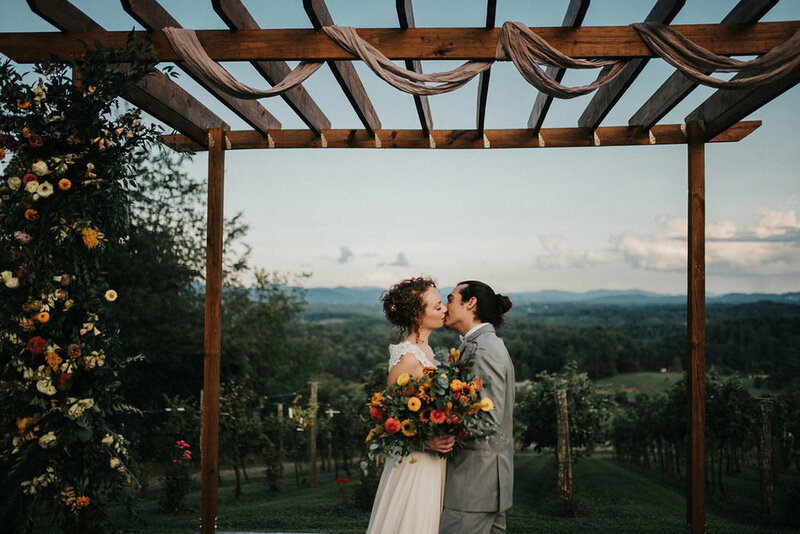 Ratbee Press did our invitation suite and Blue Ridge Blooms did our flowers. 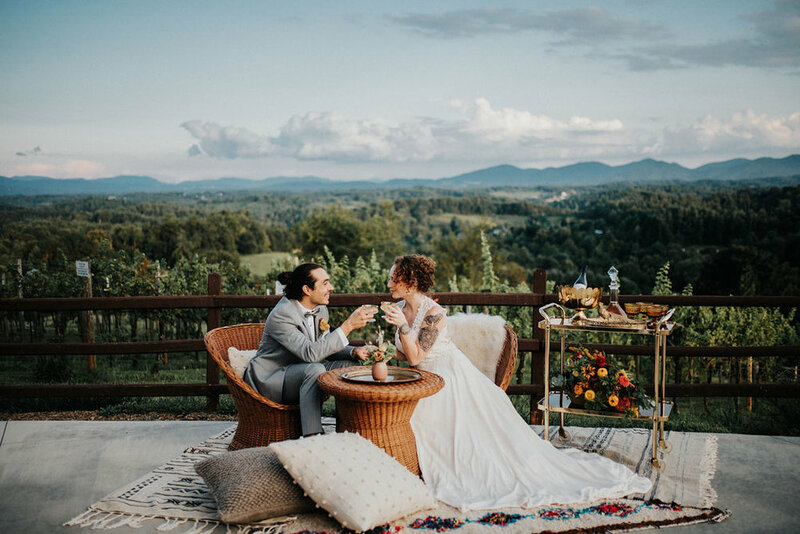 Chair rental and seat covers are from Classic Event Rental out of Asheville.